The Gentlemen's Monthly: They're getting married! It’s official. They’re getting married! 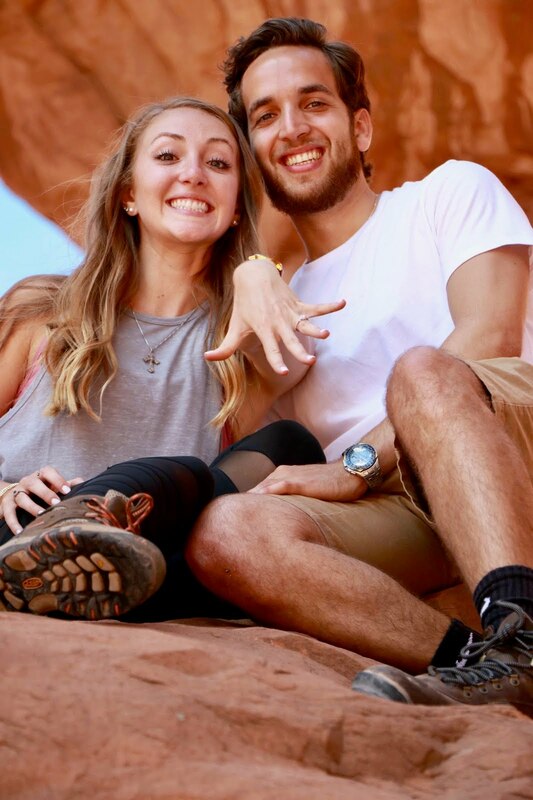 Stedsman AJ Tablada ’15 and Melissa Guarino of Miami are getting married. 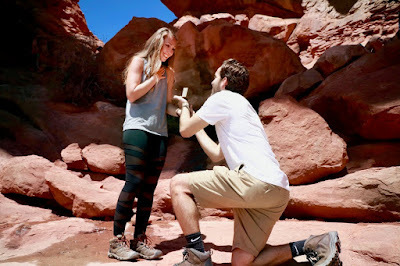 AJ proposed to Melissa during a recent hiking trip in Arches National Park, Utah. Despite AJ planning everything to the proverbial t, Mother Nature was not cooperating, and AJ and the photographer had the most deft interaction, all by chance while on the road, so that it was a complete surprise to Melissa. Thankfully, Melissa said yes… AJ was excited… and all Stedsmen breathed a sigh of relief! The happy couple look forward to exchanging their nuptials in the spring of 2018 in Miami. On their engagement, Tablada said, "I'm so blessed to be able to marry my best friend and spiritual partner on our life journey. I am eternally grateful to our LORD for her and can't wait to officially welcome her to the St. Ed's family! There's no one we would rather celebrate our Wedding Mass than Father Ralph, a mentor, friend, and Rector of our Hall. Cheers, go Irish!"